Cedar scented bar of soap. Awesome, crisp scent, like cracking the lid on a well-kept humidor. This soap is no doubt hand made and is substantial sized. It works well to clean your skin. That being said I wasn't too crazy about the cedar scent. 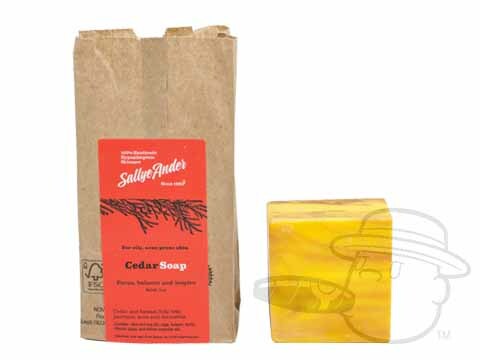 Cedar-Scented Handmade Soap is rated 4.7 out of 5 based on 3 customer ratings.